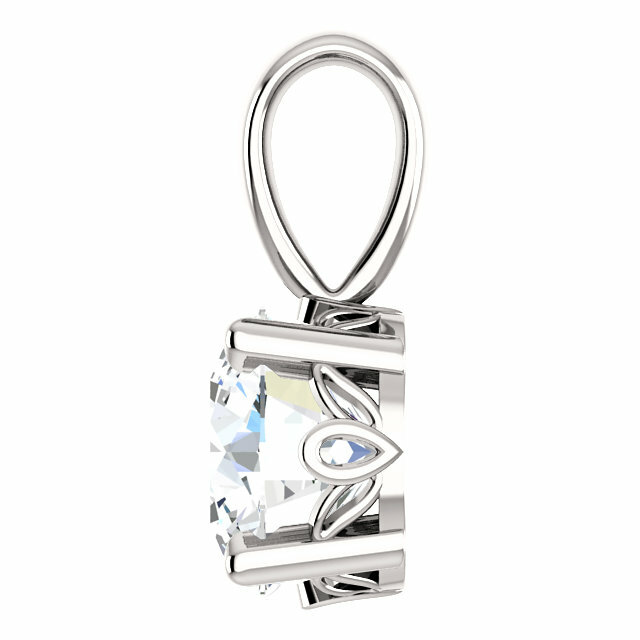 If you are looking for something unique and fun, this clear white topaz solitaire pendant is the perfect way to add a bit of sparkle to your days and your nights! The brilliant white topaz stone from Apples of Gold Jewelry is a brilliant, clear stone that is authentic and highly rated with an AA gemstone rating. The 14K white gold pendant measures 11.4 x 6mm including the hoop and bale, and the gemstone itself measures a generous 6mm in size. 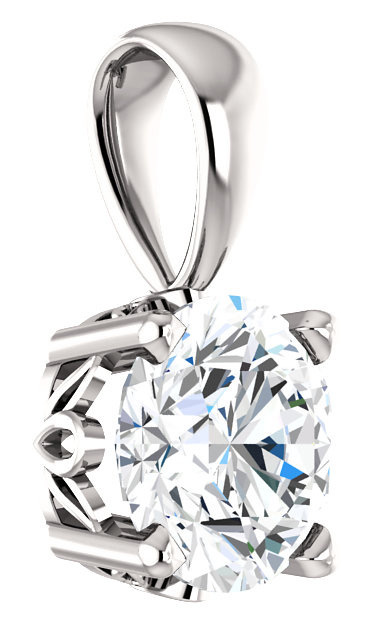 We guarantee our Clear White Topaz Solitaire Pendant, 14K White Gold to be high quality, authentic jewelry, as described above.